McCain Foods Limited required a new solution to help boost sales and cut down on paper waste. 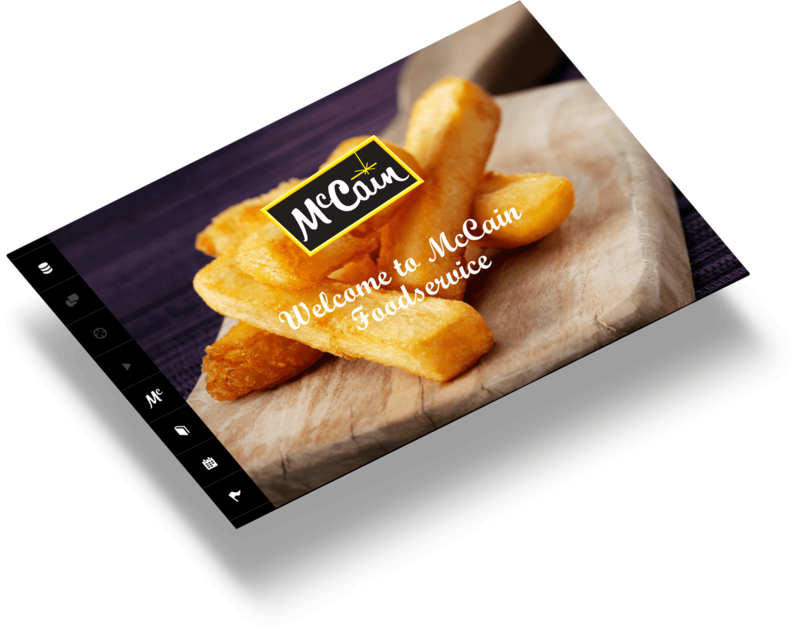 McCain are a well-known, global food company who supply food to retailers, quick service restaurants and food service outlets. The company supplies potato-based products to many big-name food brands. The requirement for this particular project was a digital solution to better equip their remote sales team. The solution needed to help sales personnel to guide clients and prospects when choosing the most suitable product. Following the brief, it was agreed the best solution would be an iPad app to act as the central point for all sales activity, a CMS to manage content and an API. The app is powered by a robust API. We build all of our solutions with an API-first approach as it reduces boundries and enables future growth. If McCain decide to expand the solution in the future, it can be done without the costs of a new API for each new platform. The Content Management System (CMS) is maintained centrally, meaning each member of the sales team has up-to-date content and is pushing the same brand message. Product information, images and other sales material are all managed in the CMS. Launched in Europe, Australia and New Zealand, the award-winning app has become an essential part of the sales toolkit.